Many deer hunters understandably won't buy in, but science continues to prove that moon phases don't affect the deer rut. Here are the reasons why. There’s no link between moon phase and rut peak. This was widely reported by hunting blogs and publications several years ago. But who wants to hear that? After all, a lot of us deer hunters were brought up with the understanding that moon phases do indeed have great bearing on the deer rut, and now science suggest it doesn’t. And, as a result, plenty of hunters not only didn’t want to hear it, they simply didn't hear it. One bowhunter from Florida wrote, “the rut seems to get going pretty good during the October new moon around here.” A Kentucky deer hunter puts less emphasis on the moon but has his preferences. For him, the new moon being right around Halloween, was not an optimal phase. “I'd rather see a waining gibbous/crescent or full, but the rut is still going to happen at the same time. Give me a major cold front any day over a favorable moon that time of year. When you have both, it makes for amazing movement though," he wrote. Another common theory is that the “rutting moon” or the second full moon after the autumn equinox, affects peak whitetail breeding, but the Quality Deer Management Association (QDMA) says not so much to all of these moon-centric theories. Let’s look at this graphic published by QDMA’s Quality Whitetails magazine. It shows what science has been telling the deer-hunting community: There is no correlation between the moon and whitetail breeding. Daylight is the big influencer. And if you think about it, this should be intuitive. It’s the amount of daylight that influences when chickens return to their coop, when flowers bloom and when deer breed. The moon just doesn’t have a say in such matters. For deer breeding specifically, it’s the length of daylight each day, which fluctuates throughout the seasons. The daylight triggers hormone changes in deer that bring on breeding and the rut. Yet, the hunters on the ground, from newbie young hunters to those crusty veteran hunters hold onto the influences of the moon. “It’s immediately clear: Despite the moon’s widely rotating cycle of full-phase dates, the majority of does were bred during the last two weeks of November and first week of December almost every year. The mean or average “center” of the breeding fell within a 7-day period every single year, and for eight of the nine years it fell in the same four-day period: November 26-29. If you find yourself still doubting and, after all, these are findings from only a single study in New Brunswick, there are other studies too that debunk any correlation between moon phases and deer rut. Researchers at the University of Georgia, led by David Osborn and Dr. Karl V. Miller, dug up data from more than 2,500 does from wild populations in South Carolina, Texas, Mississippi, Missouri, Maine, Minnesota and Michigan. 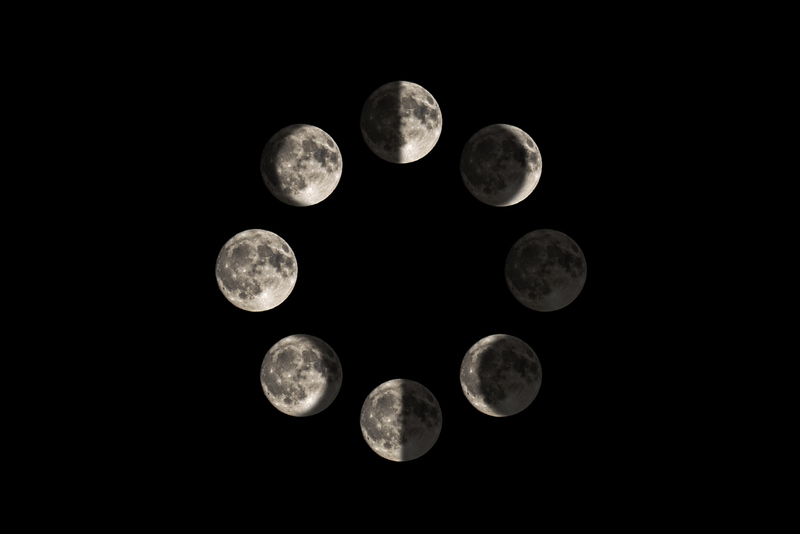 They found between three and 19 years worth of data for each population, but they did not find a correlation between moon phase and timing of breeding at any of the locations. You can read more about those studies here. If you’ve been relying on moon phases as part of your deer-rut hunting strategy, there’s a ton of tactics deer hunters can employ to make the most of the rut and hone in on a shooter buck that doesn't rely on the moon. Outdoor writer Brian Strickland offers these seven rules to hunting the rut in the Midwest, many of these also apply to other regions of the country. You can also brush up on how to create shot opportunities by reading through approaches that include the most effective ways to use a rattling sequence or how to best stalk dead spots.